If you’re missing a tooth or need a tooth extracted, how will you replace that tooth? When multiple teeth are missing, your decision about protecting your oral health and function becomes harder. The option of dental implants to replace teeth, becomes a much easier decision. Since 1985, Dr. Kinsel has helped patients get beautifully restored and functional smiles with dental implants in San Mateo, CA. The implant – A titanium screw that is surgically implanted into the jaw. The implant is made of pure titanium, which is compatible with bone in your jaw. This allows the bone to grow around the implant. 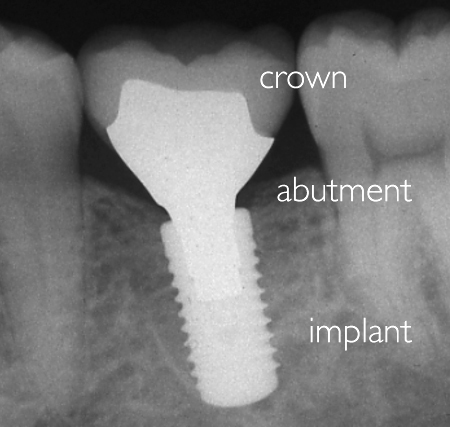 The abutment – The abutment works as an attachment that secures your final crown or bridge onto the implant. Crown, bridge, or denture – Depending on your needs, your dental implant can support many different prostheses to help your smile look healthy and increases the variety of foods you can eat. 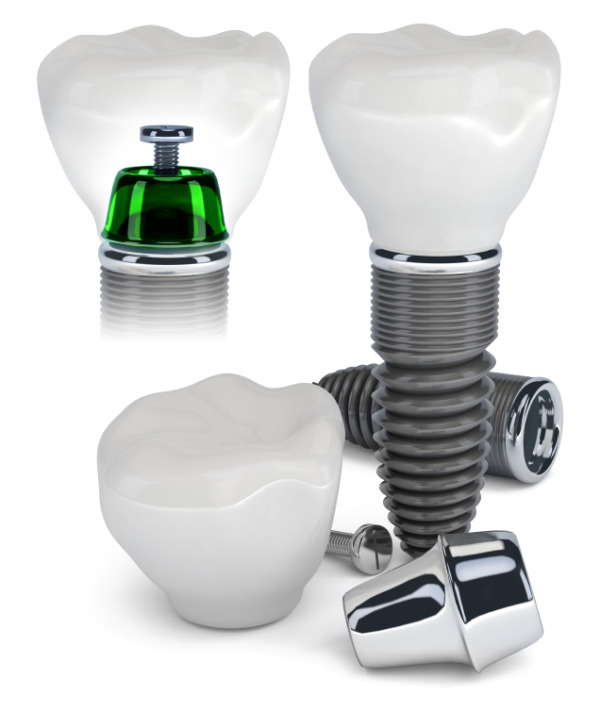 The implant is a titanium screw that joins with your jaw bone (osseointegration). Generally, surgical placement of the implant is well tolerated by the patient with little to no discomfort. Next, the abutment is inserted into the implant. 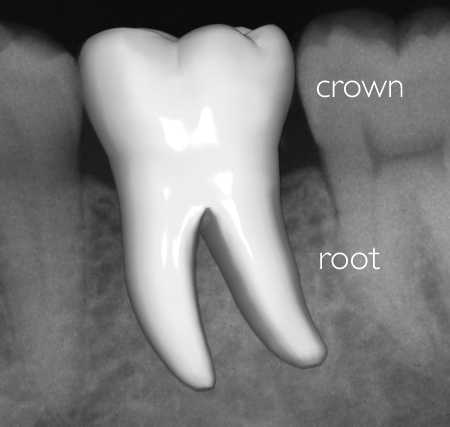 Abutments support crowns, fixed bridges or dentures and may be standard or customized based on each patient’s restorative requirements. For those patients who are missing all of their natural teeth, you have another “clear choice” – an affordable option for permanent dentures supported by 4-6 implants. With implant-supported dentures from our San Mateo dental office, you can benefit from vastly improved oral function, as well as a truly natural looking smile. Dr. Kinsel only recommends the treatment that works for you. If you could benefit from receiving dental implants, Dr. Kinsel coordinates your care with a trusted local implant surgeon. When your implants have been placed, you’ll return to Peninsula Dental-Facial Esthetics to have your finalized restoration placed. Our dental office has an on-site, full-service dental laboratory, run by our master ceramist, Daniele Capoferri. Your dental implant crowns, porcelain bridges, and permanent dentures will restore your smile. Dr. Kinsel and his team also specialize in the treatment of implant complications, such as gum tissue inflammation or infections, poor bone quality or a failure with the mechanical component itself. Our team has over 60 years of dental implant experience and is dedicated to evidence-based solutions. We treat additional concerns such as dental bridge failures, loose dental implants, denture problems, or poor esthetic results. For more information, contact the Bay Area Center for the Treatment of Dental Implant Complications at: www.implantcomplications.org. For our clinical cases, please click here. Interested in Getting Dental Implants? Contact Our Office! Dr. Kinsel and his team are proud to provide personalized patient care in a friendly environment. We help you get comfortable, cost-effective dental implants and implant-supported dentures, that allow you to achieve your goal smile. For more information about San Mateo, CA dental implants contact Peninsula Dental-Facial Aesthetics at (650) 573-8262.